The Toronto Star, Canada’s most widely read newspaper known for its investigative reporting gifted anti-vaccination audiences armament by using poor science to point to a spurious connection between an HPV vaccine and illness. The issue points to journalism’s power to shape the discourse of health issues and it points to the power, promise and peril associated with good (and not so good) science reporting. On Thursday February 5th, 2015 the Toronto Star, Canada’s most widely read newspaper that has a reputation for solid investigative journalism, published an story that connected the experience of young girls and negative health effects with the receiving the Gardasil HPV vaccine. The story was immediately and widely criticized by experienced science journalists and health professionals alike, who argued that it was based on terribly flawed science. The Toronto Star’s reaction was to defend itself, arguing in many different fora that they indeed mentioned that there was little scientific evidence that supported the link between the vaccine and the negative health effects being discussed in the article. The problem is that these links are buried deep in the article and certainly are not its focus: the hypothesized harms are. Two days later, the Star published a follow-up op-ed letter which was authored by two health professionals and co-signed / supported by dozens of Toronto’s leading physicians condemning the original article. However, by that time the damage is likely to have been done and one more bit contribution to the fictitious ‘evidence’ for vaccine harms had been added to the anti-vaccine movement’s war chest. This matter of poor reporting is not a trivial issue. The fraudulent science performed by Andrew Wakefield linking autism to vaccines helped spur an evidence-thin anti-vaccination movement. Today, we are seeing the resurgence of diseases once thought to be eliminated in North America (like measles) because so many people are not having their children vaccinated. Jenny McCarthy is among the celebrities who have taken up the cause of anti-vaccination and has written about and spoken at length about what she sees as the connection between autism and vaccines, using her son’s experience as an ‘example’. Oprah Winfrey, perhaps unwittingly, gave McCarthy a platform to speak about her beliefs on her show offering wider possible credibility to something that has been thoroughly discredited in the scientific literature (PDF). For the Toronto Star, it was bad enough that the story was published — and is now online, likely for all time in various forms thanks to the Web — but what made it worse was that the Star was so vigorous in its defence of it, unwilling or unable to recognize their role in public health. Medical evidence champion, author, physician and columnist Ben Goldacre was among the many who counter-attacked, pointing to what he called The Star’s ‘smear campaign‘ against the story’s critics. For an interesting discussion of the issue of just how the Star got it wrong, listen to Vox health reporter Julia Belluz, interviewed on the CBC’s radio show The Current. Belluz, a past MIT Knight Journalism Fellow, is one of a dwindling number of journalists who understand the practice of reporting, science, and medicine and wrote a stellar critique of the Toronto Star article, but as importantly makes the case for why there is a need for specialized, trained, supported journalists out there doing this kind of work. I’ve argued in the past that journalism is very much a pillar of public health. When it fails, so does public health. Journalism is not and should not be an arm of public health for the very independence that good, professional journalism strives to maintain is a reason it’s often called the fourth estate, keeping governments and other forces in check to ensure they are not abusive. Yet, that distance is also what makes it a part of public health. 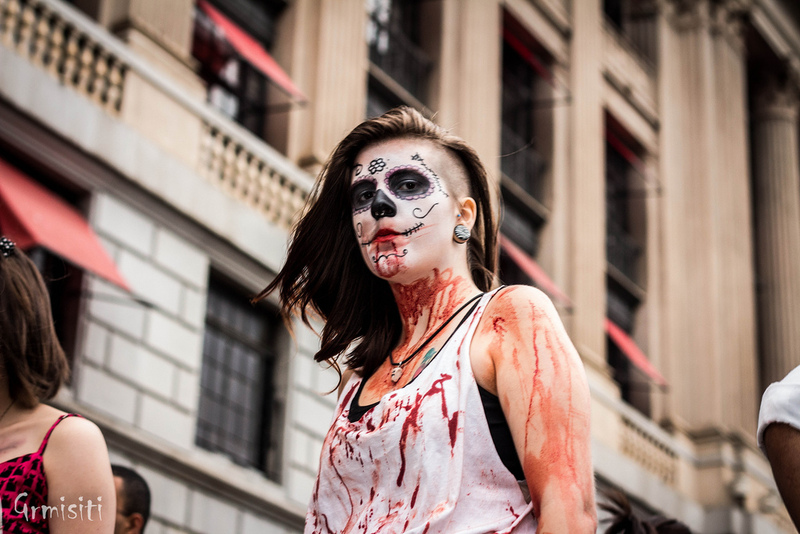 Public health is better for journalism and journalism certainly can benefit from health stories as they continue to be popular and sought after by readers. As a group, scientists and many clinicians are not great at communicating what they do, why their research is important to others outside their field, and what the implications of their findings are for the public and science as a whole. Some are, most are not. It’s for this reason that the entire sub-field of health sciences focused on knowledge translation, exchange and mobilization has emerged. Just as we value the ability of a graphic designer to make visuals come alive, so too have we learned to value those with the skills to communicate information well and that is what journalists are trained and paid to do. They are a big part of this process, or at least should be. Science journalism is too important to be ignored. There is much skepticism of journalists by scientists and clinicians and indeed, as the Toronto Star shows, journalists sometimes get things wrong. But its one thing to get it wrong through errors of judgement or interpretation it’s quite another to get things wrong by design. The Toronto Star has some good health reporters, but they weren’t the ones on this story. Nor did they bring in the health reporters to consult on this or other health professionals prior to publication– at least as far as one can tell. The importance to the public’s health of good reporting requires that health and science journalists have more than a rudimentary knowledge of the topics they are covering. What’s strange is how we understand this with our sports reporting, weather forecasts and foreign correspondents. You wouldn’t watch someone who has little understanding of a sport covering it in depth, would you? It’s one thing to read scores, it’s another to provide investigative and deep coverage of a game if you don’t know the players, the rules, the criteria for quality and success and so forth. 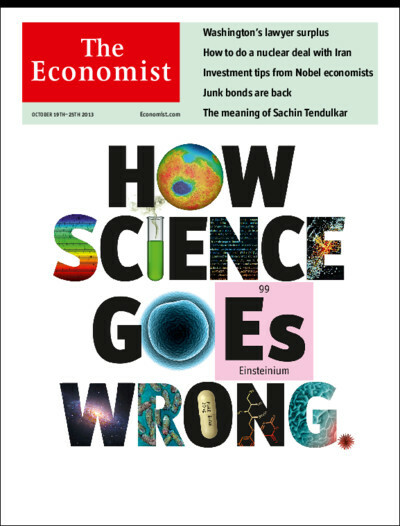 Why do we do this with health journalism and science? Yet, journalism is under pressure and no doubt the Toronto Star, for whatever genuine contrition they experience from what happened, have to like that they are being talked about. The reason is that journalism is under threat for market reasons, the Internet and the changing ways we get our news. It is, as Jürgen Krönig wrote way back in 2004, “A crisis of the Fourth Estate”. That crisis is only getting worse. As anyone interested in public health, we need to take actions to ensure that the fourth estate is protected, supported and not ignored. Our health might just depend on it. Image: iStockphoto, used under licence. A recent study found looked into the experience of cyberbullying by university professors at the hands of their students. This disturbing phenomenon points to much larger issues beyond mental health promotion and calls into question many of the assumptions we have about the systems we’ve designed to foster education and what it means to be a learner at university. The university is one of our oldest cultural institutions and its instructors are considered to have among societies most respected jobs, even if not always well compensated. In the past, students often approached their professors with a mixed sense of wonder, respect, curiosity and fear and that, in healthy situations, was reciprocated by faculty to create a space where people could explore ideas, learn, and challenge themselves and others to grow. That relationship has started to change as evidenced by the rise of cyberbullying in the classroom. A recent article in Macleans Magazine looked at the changing state of the post-secondary classroom and the role of cyberbullying. Only this was not about student victims, but students as the perpetrators against their professors. The effects of cyberbullying are crippling and professors are bearing the burden of having hundreds of eyes watching them, writing about them and writing ‘consumer reviews’ about them in anonymous and sometimes unflattering, inflammatory and questionable terms on sites like RateMyProfessor.com . Researchers at the University of California, Riverside found that as students age the incidence of face-to-face bullying decreases and cyberbullying increases, which might partly explain why we’re seeing this in university settings when face-to-face bullying goes subterranean. Yet, the notion that professors that are getting bullied by their students belies some other issues that require further investigation, namely those related to the nature of education and the role of students-as-consumers. If you pay for something, should you not expected to get something rather specific for that experience or product? Aside from some rare experiences of profane/profound personal challenge/punishment like Tough Mudder and its peers or dental work, there are few things we willingly pay for that we don’t derive pleasure from or achieve a very specific (anticipated) outcome. Education is problematic because we might not know what we’ll get from it going in, what kind of experiences or ideas will emerge, and how our relationship to those experiences will change us. That is its great gift. Many of us have had profound life changes because of something we experienced through our education and writing as one who has completed four different degree programs and a post-doc I can confidently say that I didn’t receive a lot of what I expected in any of those programs and I am a better person for it. Indeed, if I go to a specific learning event (aside from those focused on a specific technique or technology) I am disappointed if I actually come away with exactly what I expected. That is part of the point. We don’t know what we don’t know. But when you start viewing education as a thing that resembles any other market-driven product or services, you begin to focus on learning as a consumable good and your students as customers. In following this line of thought, it makes some sense to focus the delivery of this product on the desires of the consumer. Increasingly, teachers (of various stripes) are being asked to consider a range of student-related variables in their education. Things like learning styles and preferences are now being woven into classroom instruction and students have come to learn to expect and are increasingly demanding to be taught in ways that match their unique learning preferences and styles. While there is reason to imagine that this approach is useful in stimulating engagement of students in the lessons, there is increasing evidence much of it does little to enhance actual learning. Many of the life lessons we’ve gained that shape what we do and who we are were not delivered in the manner of our choosing, conformed with our preferences and were not desired, expected or enjoyed in the moment. We risk confusing enjoyment with learning; they can be aligned but one isn’t necessary for the other to take place. However, when we are viewing education from a consumer model, the specific outcomes become part of the contract. If I come to get a degree in X because I believe that the job market demands the skills and knowledge that X brings and I am paying tens of thousands of dollars and spending four or more years acquiring X then I feel entitled to expect all the benefits that X brings. Further, I expect that my journey to acquiring X will be enjoyable, because why would I spend more money than I’ve ever seen on something I don’t enjoy. Particularly when that is money I don’t have. In Canada and the United States, student debt rates have dramatically increased. The Canadian Federation of Students note that Canadian’s attending post-secondary education now owe more than $15B to the Canadian federal government (PDF) as part of their student loan program, a number that doesn’t include debt accumulated from borrowing from banks, family, credit cards and other means. In Canada’s largest province, Ontario, the rate of graduate employment has decreased since 2001 and the overall youth unemployment rate continues to be the highest, despite the province having one of the most educated youth population in the country (and arguably, the world). And while Ontario universities continue to promote the fact that education is a better pathway to success, it is a hard pill for many students to swallow when many can’t apply what they trained for and paid for after they graduate. Satirist John Oliver has an informative, humorous and distressing take on student debt and the state of consumer-oriented education for those who want to learn more. None of these reasons are excuses for cyberbullying, but it does give a more complicated picture of those that might feel they are entitled to bully others and their reasoning behind it. What we are seeing is a systems change in the way education is being produced, consumed and experienced. Even the mere fact that we can now reasonably use the language of consumerism to speak to something like education should give us pause and concern. I’ve been involved in post-secondary education for nearly 20 years and there has always been students who simply wanted the ‘piece of paper’ (degree) as a stepping stone to a job and little more than that from their time at school. They were willing to do the work — often the minimum possible — to graduate, but they knew they had to put the effort in to be successful. There was never an expectation that one was entitled to anything from going to school, although that might be changing. Belgian psychotherapist Paul Verhaeghe has explored the role of identity in market-based economies in his new book What About Me? In the book, Verhaeghe illustrates how we construct our identities as people drawing on the research that reflects (and often contradicts or obscures) the two major perspectives on personality and identity: the person-as-blank-slate and the person as a reflection of the environment. The former perspective assumes we come into the world as we are while the latter assumes the world makes us who we are and both have enormous amount of moral, cultural and evidentiary baggage attached to them. What Verhaeghe does is point to the ways in which both have elements of truth to them, but that they are mediated by the manner in which we construct the very questions about who we are and what our purpose is. These questions are (for many cultural, historical, economic and political reasons that he elaborates on) frequently market-based. Thus, who we are is defined by what we do, what we own, what we produce, and how we use such things once out into the world and that the value that come with such ways of defining ourselves is considered self-evident. He makes a disturbing and convincing case when one stops to reflect on the way we think about how we think (metacognition + mindfulness) . When viewed from the perspective of a market, knowledge and its products soon become the goal and not the journey. Indeed, I’ve even written about this in support of an argument for better research-to-action and knowledge translation. Much of the knowledge-to-action discourse is about viewing knowledge as a product even if the more progressive models also view this as part of a process and even more as part of a system. But it is the last part — the system — that we often give the shortest shrift to in our discussions. What Verhaeghe and others are doing is encouraging us to spend more time thinking about this and the potential outcomes that emerge from this line of thinking. Unless we are willing to talk more about the systems we create to learn, explore and relate we will continue to support Verhaeghe’s thesis and uphold the conditions for the kind of education-as-a-product thinking that I suspect is contributing to students’ changing behaviour with their professors and creating a climate at universities that is toxic instead of inspiring. 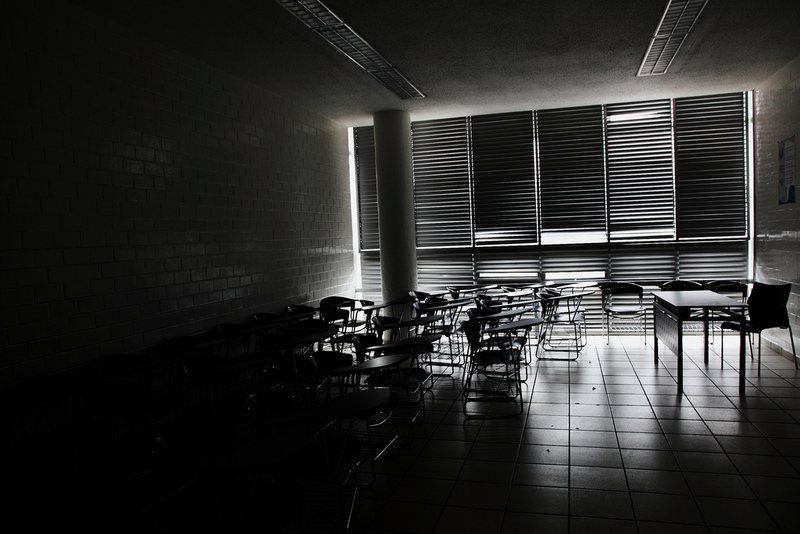 Photo credit: Classroom by Esparta Palma used under Creative Commons License via Flickr. Check out Esparta’s remarkable work here. Some fields stagnate because they fail to take the bold steps into the unknown by taking chances and proposing new ideas because the research isn’t there to guide it while social innovation has a different twist on the problem: it has plenty of ideas, but little research to support those ideas. 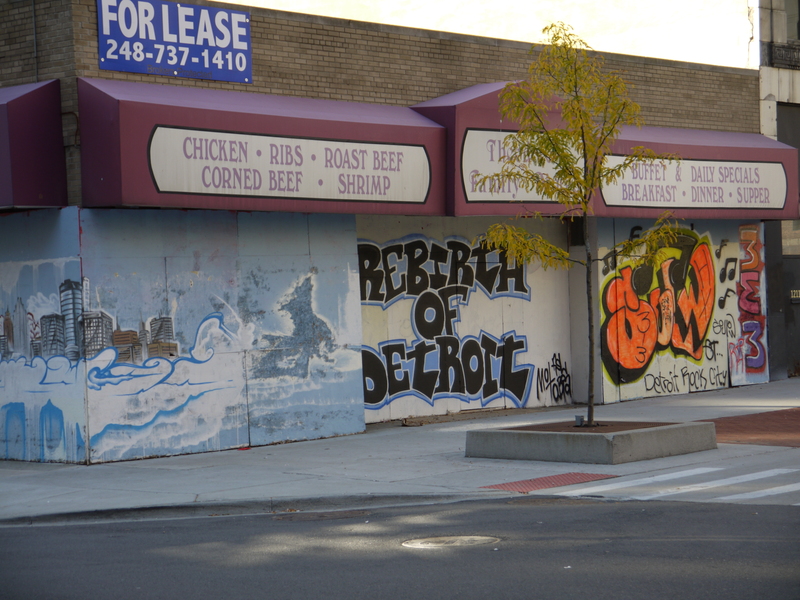 Unless the ideas and research match up it is unlikely that either area will develop. Social innovation is a space that doesn’t lack for dreamers and big ideas. That is a refreshing change of pace from the world of public policy and public health that are well-populated by those who feel chained down to what’s been done as the entry to doing something new (which is oxymoronic when you think about it). Fields like public health and medicine are well-served by looking to the evidence for guidance on many issues, but an over-reliance on using past-practice and known facts as the means to guide present action seriously limits the capacity to innovate in spaces where evidence doesn’t exist and may not be forthcoming. A good example of this is in the area of eHealth. 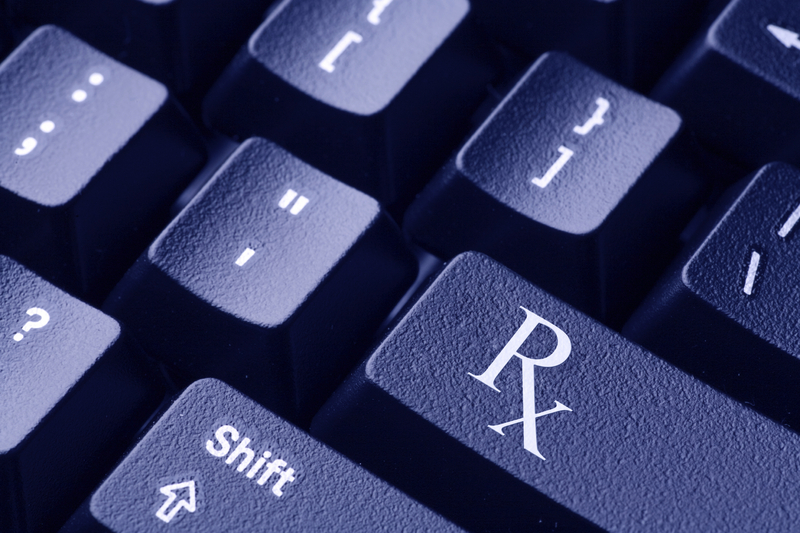 While social media has been part of the online communication landscape for nearly a decade (or longer, depending on your definition of the term), there has been sparse use of these tools and approaches within the health domain by professionals until recently. Even today, the presence of professional voices on health matters is small within the larger discourse on health and wellbeing online. One big reason for this — and there are many — is that health systems are not prepared for the complexity that social media introduces. Julia Belluz’s series on social media and healthcare at Macleans provides among the best examples of the gaps that social media exposes and widens within the overlapping domains of health, medicine, media and the public good. Yet, such problems with social media do not change the fact that it is here, used by billions worldwide, and increasingly becoming a vehicle for discussing health matters from heart disease to weight management to smoking cessation. Social innovation has the opposite problem. Vision, ideas, excitement and energy for new ideas abound within this world, yet the evidence generation to support it, improve upon it and foster further design innovations is notably absent (or invisible). Evaluation is not a word that is used much within this sphere nor is the term research applied — at least with the rigour we see in the health field. Despite thriving practitioner networks and a real commitment from policymakers and foundations to support social innovation, empirical and theoretical knowledge of social innovation remains uneven. Not only is this research base uneven, it’s largely invisible. I choose to use the word invisible because it’s unclear how much research there is as it simply isn’t made visible. Part of the problem, clearly evident at the Vancouver event, is that social innovation appears to be still at a place where it’s busy showing people it exists. This is certainly an important first step, but as this was an event devoted to social innovation research it struck me that most attendees ought to have already been convinced of that. Missing was language around t-scores, inter-relater reliability, theoretical saturation, cost-benefit analysis, systematic reviews and confidence intervals – the kind of terms you’d expect to hear at a research conference. Instead, words like “impact” and “scale” were thrown out with little data to back them up. It seems that social innovation is a field that is still in the clouds with possibility and hasn’t turned the lights on bright enough to bring it back down to earth. That’s the unfortunate part of research: it can be a real buzz-kill. Research and evaluation can confirm what it means for something to ‘work’ and forces us to be clear on terms like ‘scale’ and ‘impact’ and this very often will mean that many of the high-profile, well-intentioned initiatives will prove to be less impactful than we hope for. Yet, this attention to detail and increase in the quality and scope of research will also raise the overall profile of the field and the quality and scope of the social innovations themselves. That is real impact. By bringing us down to earth with better quality and more sophisticated research presented and discussed in public and with each other we offer the best opportunity for social innovation to truly innovate and, in doing so, reach beyond the clouds and into the stars. 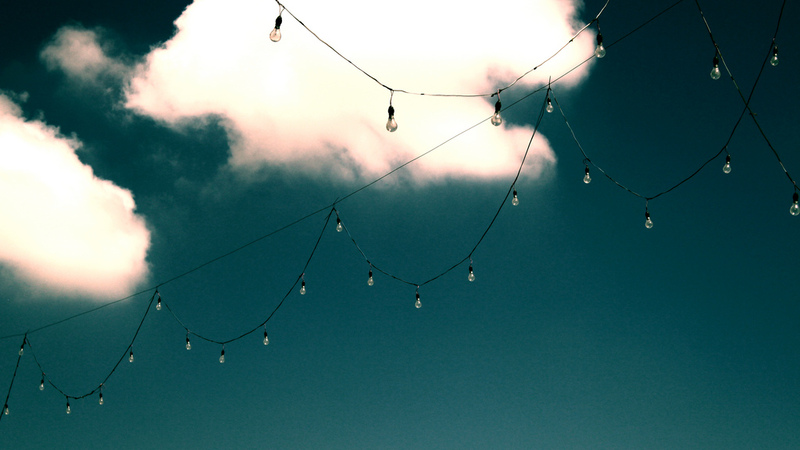 Photo credit: Lightbulb Clouds by MyCatkins used under Creative Commons License. Thanks Mike for sharing! A new book about Toronto’s (in)famous mayor reveals a great deal more than just a story of man known more for what he smokes and says than his governance, to what kind of world we want to live in. Robyn Doolittle’s ‘Crazy Town’ goes well beyond documenting one man’s troubling behaviour and its place in the city he governs to a broader understanding of politics, science and journalism in a day when all three are under threat. Toronto has been my adopted home for most of last 15 years. It’s dynamic, clean, safe and North America’s 4th largest city. Toronto is a place of tremendous ethno-cultural diversity (near 1/2 of the population is foreign-born), spectacular food, a thriving arts and culture scene, great universities, home to sports fans with a near pathological faith in their hockey team, and — even with all of that — it’s sometimes a bit dull (and that’s OK). That last bit about being dull changed dramatically after 2010 and that has to do with one man: Rob Ford, our mayor. Maybe you’ve heard of him. Toronto Star reporter Robyn Doolittle was literally at the front line of journalists covering Toronto’s Chief Magistrate and recently published a book on that experience and the story behind the story called Crazy Town. It’s a terrific book that documents the almost surreal events and people behind Rob Ford’s rise to power and current reign as one of the world’s most well-known mayors. It’s a rare work that manages to marry true crime, history, political intrigue, suspense, biography, and a journalism textbook together. I devoured it. Yet, as a resident and politics fan I was amazed by what I read. I already knew most of the general details of what came out in the book (although chapter 12 is a complete shocker) because I lived through this news. Yet, it was only seeing all of this painted in one long narrative piece that it took a new life and in doing so brought me to a deeper understanding of many issues I’d thought I knew. The reason is largely the narrative arc that only a book (or long-form journalism) can offer. On the surface, one could argue that what Doolittle did was piece together hundreds of stories she and others had written and compile them with a few additional quips to produce a compendium of Rob Ford’s life in the public’s eye. That in itself is a lot of work, but it doesn’t tell those who were paying attention to the story anything new. Yet, with each story that came out the backstory shows how what was reported — and picked up by others, reacted to, or ignored — was as important as what was learned about the subject and his environment. We read about how — not unlike with police work — the public is exposed to the “facts” but not how the authors chose to disclose (or not) those details and why. When one considers what these ‘facts’ and the stories behind them entail, it is hard not to see some parallels between the world of political reporting at city hall and the world of science, social innovation, health promotion and policy that I live (and have lived) in. 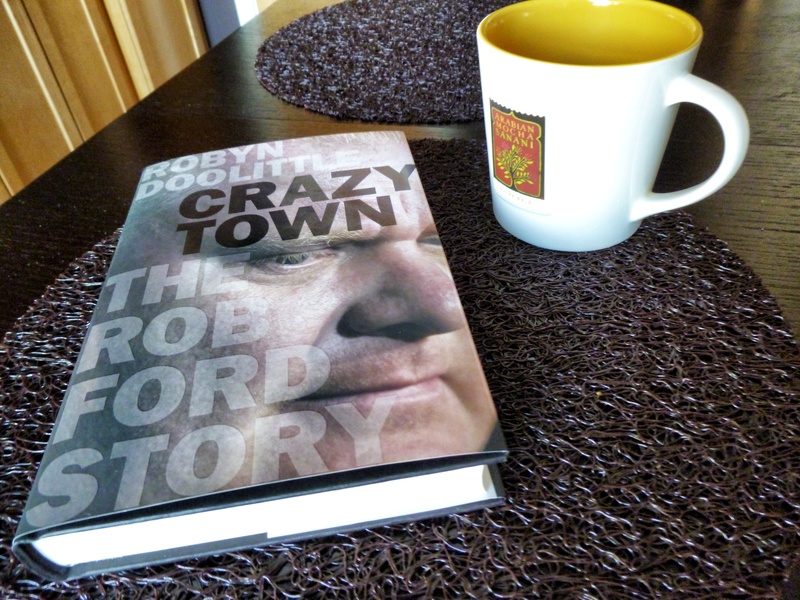 Crazy Town has many lessons for those not interested in Toronto, Rob Ford, politics, journalism or science, yet it is through all of those topics that such lessons are learned. The latter three stand out. Rob Ford has defied nearly any explanation of how he has managed to maintain some form of support above 30% (as in, 3/10 polled would vote for him if the election was today). The best I’ve read is from former Canadian hockey legend, educator and parliamentarian Ken Dryden who wrote in the Globe and Mail newspaper about how Rob Ford has found a way to be visible and get the simple things done when other politicians get mired in complexity. He channels people’s frustrations and he makes his constituents feel listened to. Doolittle’s treatment of Ford – despite the despicable treatment he’s given her, the Toronto Star and journalists overall — is fair and, in many cases, almost flattering when it comes to politics. Ford and his team have, despite appearances on the personal side of things, been very consistent and kept things simple. While Einstein might have challenged that Ford’s simple is too much so, there are lessons for all of us in this. For those who deal in complexity, which is most human systems, it is easy to get mired in the details and interactions. Ford was steadfast in his over-arching narrative of “the gravy train” and that resonated with people. There is no reason why any other politician couldn’t have picked something similar to drive as their narrative and done much more good than Ford has, but they didn’t. Ford made himself visible to those who mattered most: his constituents. And they have rewarded him with support. How often do health care officials, educators, or policy leaders spend time with their key ‘constituents’ in settings that are natural to that audience? Politicos might challenge Ford’s proclivity for door-knocking and BBQ’s in an age of big data analytics, but that resonates with people. Why don’t more leaders get away from staid events in hotel ballrooms, well-crafted PR events, or their own offices to meet with their audiences where they live, work and play? Good designers know that the design is only good if it gets used in the environment it was intended for and the only way to know that is to go into those environments. Ford knows this. To be fair, science is my term not Doolittles, but the term ‘evidence’ is one that links my term and her experience as a reporter. By science, I am talking capital ‘S’ science — the enterprise of scientific work as well as the activity. What follows from the narrative arc that Ford delivered was the ability to frame the evidence held against him. He is masterful at reframing the arguments and keeping people focused on the messages that fit his ongoing construction of a narrative. For a while, he was able to keep people talking about whether or not he smoked crack or drank alcohol excessively — two very serious issues — in a speculative way and away from the evidence he associated with drug dealers, violent criminals, and lied repeatedly to the press. He still does this. In 2012 and 2013 the city spent time debating the minutiae of the law around whether or not he was in violation of conflict of interest. Lost in much of this debate was the larger pattern of Rob Ford consistently getting into trouble over all kinds of issues, big and small and how that wasn’t appropriate for any leader, political or not. Recently, Ford was in the news for being drunk in public and speaking in some faux Jamaican patois to customers at a local restaurant. The issue as discussed in the media was the alcohol and the patois, not the fact that this is a man who, when under the public’s eye, has the judgement to: 1) get drunk in a public place 2) with the person who is accused of extortion related to the infamous crack video, 3) and then get up in front of everyone at the front of the restaurant to make a big, public proclamation. Two weeks later, at a funeral for his friend’s mother in Vancouver, Ford decides to go to a crowded bar on a weekend night where nearly every young person there has a mobile phone and many proceed to take pictures of him or with him . This is exactly how scientists and policy makers often behave. The intense focus on the small details leaves out the questions of relevancy and the bigger picture of what the point of the science is. Too often we get sidetracked with specifics and lose sight of a much larger set of issues. So far, people are willing to pay attention to Ford’s bigger message. Perhaps we need to consider what the bigger message is in our other enterprises and then worry about the details. I love ‘behind the scenes’ looks and this book provides lot to consider when thinking about how journalism is done, particularly that of the investigative kind. Doolittle has been steadfast that Crazy Town might have her name on the cover, but the investigative work that contributed to it was part of a huge team of journalists from the Toronto Star, the Globe and Mail and other outlets. Indeed, it takes a team and the kind of institutional support that the Star has put behind Doolittle. Alas, this may be an exception. Many journalistic outlets are imploding due to poor management, change of readership habits, shifting business models, and also the public’s unwillingness to pay for things they value online. This last point is the one that we often let skate by in our discussions about media and one that Jaron Lanier has exposed as a major flaw in the modern Internet age. Just this past week, web pioneer Mark Andreessen speculated on the future of media and — as many who have a stake in a faster, less in depth form of media often do — completely overlooked the role of the media as the a key role in communicating and uncovering key stories for society. To him, the model is dying. Maybe the business model is problematic, but unlike Andreessen I see a big need for journalism for society and as a model for science and health. In health and science reporting, we are at great risk of losing voices like Andre Picard, Julia Belluz, Carly Weeks and Helen Branswell who have all brought to light many key issues that public health, healthcare and policy seem to forget, hide, complicate, or deny from emergent infectious disease patterns to drug regulation policy and practice. Would we know about Rob Ford’s fitness for mayoralty if we didn’t have the Star? Would we be talking about the perversion of science and pharmaceuticals were it not for people like Ben Goldacre in the UK? What kind of knowledge would the world have about the NSA if Edward Snowden was a lone blogger and didn’t have The Guardian or New York Times to advance his disclosure? Crazy Town makes you realize what a debt we are owed to modern investigative journalism, journalists and those that support them (and are willing to pay for their products). Crazy Town ends with the acknowledgement that there is much more of this story yet to be written. This is an election year and Rob Ford is one of the few who have already filed their papers to run for office again. Crazy Town could have been told in 10,000 tweets, videos and Instagram pics. But it would have missed the point. The book is an argument for why in-depth journalism is needed and why — journalism, science, and politics — all often require a longer narrative arc to understand the bigger picture. Bigger stories don’t fit into a social media world, even if that very social media is part of the story itself. The book is a great read whether you’re in Toronto, Ontario; Calgary, Alberta; Madison, Wisconsin; or Phnom Phen, Cambodia. It’s a story as much about a man and a city as it is about ourselves and the world we live in. Read that way, you’ll find that not only is there more to tell of Rob Ford, there is a much bigger story to tell all around us. Developmental evaluation is an approach to understanding and shaping programs in service of those who wish to grow and evolve what is done in congruence with complexity rather than ignoring it. This requires not only feedback (evaluation), but skills in using that feedback to shape the program (design) for without both, we may end up doing neither. A program operating in an innovation space, one that requires adaptation, foresight and feedback to make adjustments on-the-fly is one that needs developmental design. Developmental design is part of an innovator’s mindset that combines developmental evaluation with design theory, methods and practice. Indeed, I would argue that exceptional developmental evaluations are by their definition examples of developmental design. The idea of developmental design emerged from work I’ve done exploring developmental evaluation in practice in health and social innovation. For years I led a social innovation research unit at the University of Toronto that integrated developmental evaluation with social innovation for health promotion and constantly wrestled with ways to use evidence to inform action. Traditional evidence models are based on positivist social and basic science that aim to hold constant as many variables as possible while manipulating others to enable researchers or evaluators to make cause-and-effect connections. This is a reasonable model when operating in simple systems with few interacting components. However, health promotion and social systems are rarely simple. Indeed, not only are they not simple, they are most often complex (many interactions happening at multiple levels on different timescales simultaneously). Thus, models of evaluation are required that account for complexity. Doing so requires attention to larger macro-level patterns of activity with a program to assess system-level changes and focus on small, emergent properties that are generated from contextual interactions. Developmental evaluation was first proposed by Michael Quinn Patton who brought together complexity theory with utilization-focused evaluation (PDF) and helped program planners and operators to develop their programs with complexity in mind and supporting innovation. Developmental evaluation provided a means of linking innovation to process and outcomes in a systematic way without creating rigid, inflexible boundaries that are generally incompatible with complex systems. Developmental evaluation is challenging enough on its own because it requires appreciation of complexity and a flexibility in understanding evaluation, yet also a strong sense of multiple methods of evaluation to accommodate the diversity of inputs and processes that complex systems introduce. However, a further complication is the need to understand how to take that information and apply it meaningfully to the development of the program. This is where design comes in. Design is a field that emerged from the 18th century when mass production was first made possible and no longer was the creative act confined to making unique objects, rather it was expanded to create mass-market ones. Ideas are among the ideas that were mass-produced as the printing press, telegraph and radio combined with the means of creating and distributing these technologies made intellectual products easier to produce as well. Design is what OCADU’s Greg Van Alsytne and Bob Logan refer to as “creation for reproduction” (PDF). 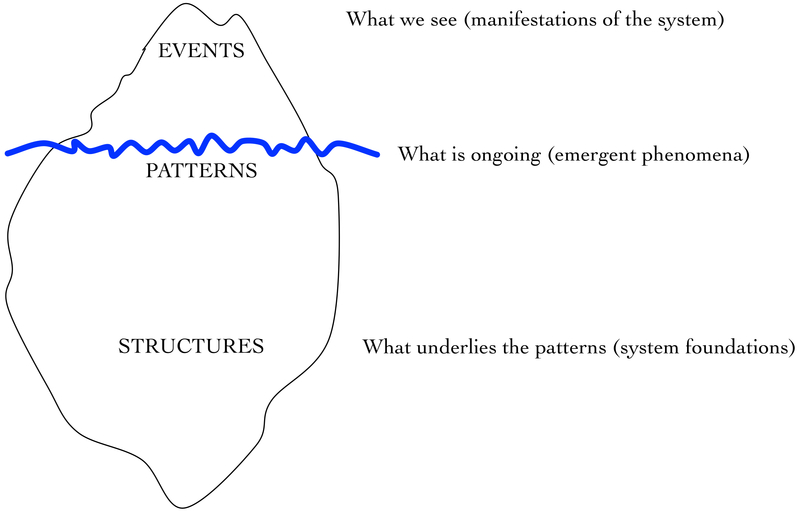 Developmental design links this intention for creation for reproduction and the design for emergence that Van Alsytne and Logan describe with the foundations of developmental evaluation. It links the feedback mechanisms of evaluation with the solution generation that comes from design together. The field of implementation science emerged from within the health and medical science community after a realization that simple idea sharing and knowledge generation was insufficient to produce change without understanding how such ideas and knowledge were implemented. It came from an acknowledgement that there was a science (or an art) to implementing programs and that by learning how these programs were run and assessed we could do a better job of translating and mobilizing knowledge more effectively. Design is the membrane of sorts that holds all of it together and guides the use of knowledge into the construction and reconstruction of programs. It is the means of holding evaluation data and shaping the program development and implementation questions at the outset. Without the understanding of how ideas are manifest into a program we are at risk of creating more knowledge and less wisdom, more data and less impact. Just as we made incorrect assumptions that having knowledge was the same as knowing what to do with it or how to share it (which is why fields like knowledge translation and mobilization were born) so too have we made the assumption that program professionals know how to design their programs developmentally. Creating a program from scratch from a blank slate is one thing, but doing a live transformation and re-development is something else. Developmental design is akin to building a plane while flying it. 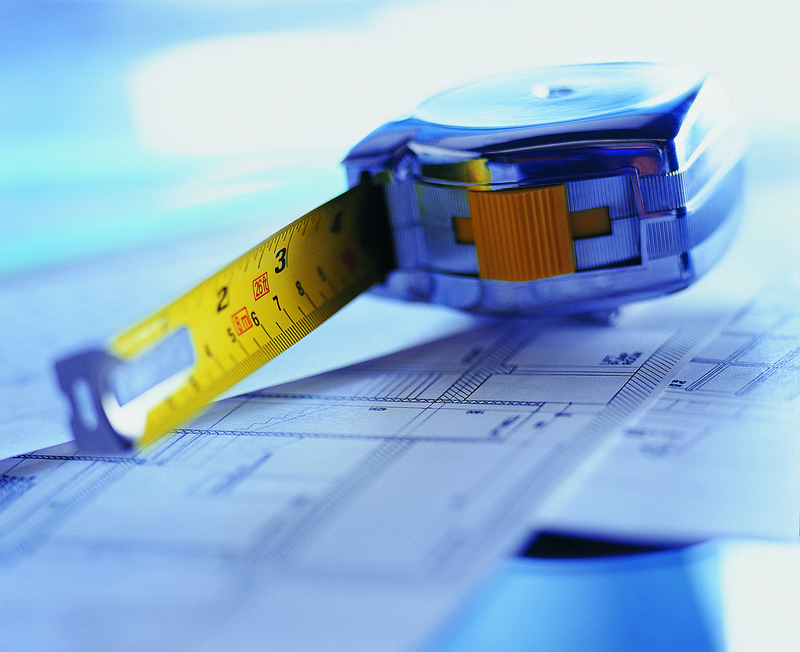 There are construction skills that are unique to this situation that are different from, but build on, many conventional theories and methods of program planning and evaluation, but like developmental evaluation, extend beyond them to create a novel approach for a particular class of conditions. In future posts I’ll outline some of the concepts of design that are relevant to this enterprise, but in the meantime encourage you to visit the Censemaking Library section on design thinking for some initial resources. The question remains whether we are building dry docks for ships at sea or platforms for constructing aerial, flexible craft to navigate the changing headwinds and currents?